As a contrast to yesterday’s wet Qualifying session, the Hungaroring basked in searing sun for the Grand Prix, bringing tyre management considerations to the fore. Both Renault drivers made strong starts, but it proved hard work moving up the order thereafter. Hülkenberg was P10 at the end of the first lap, but finished in twelfth position, pushing hard after a late stop to change to the Ultrasoft tyres. 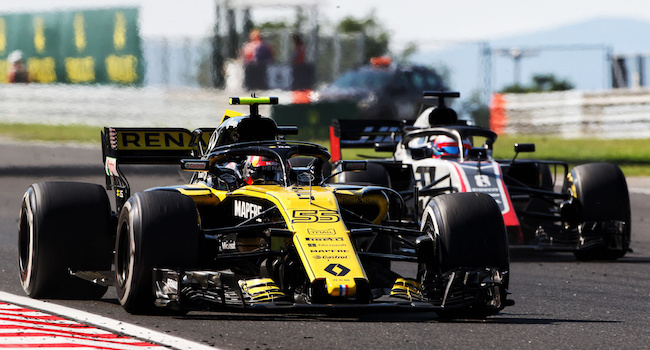 “We didn’t have the pace in the car today, and the balance felt poor," Nico Hülkenberg explained. His team mate Carlos Sainz finished in the points, but wasn’t able to fully capitalise on his fine fifth position on the grid. “It was a frustrating race," says Sainz. Despite the challenges of today, the team remains in fourth place in the Constructors’ Championship heading into the summer break.